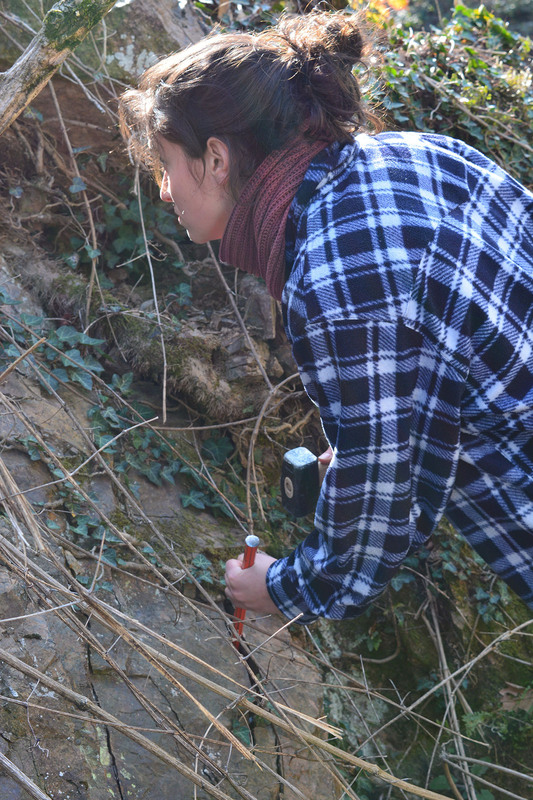 Sampling for paleomag analysis with UniTO. 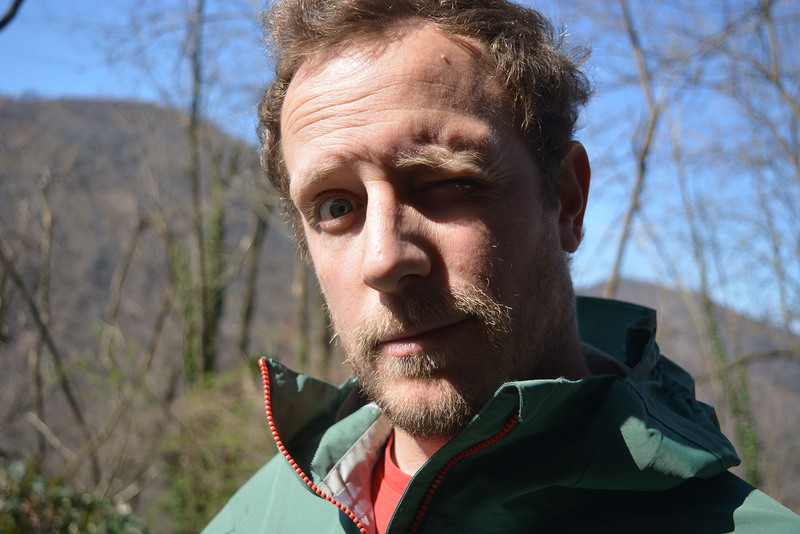 Emanuele Scaramuzzo is presently balancing geological cross-sections encompassing an area between Lake Lugano, and Lake Maggiore, a key area for understanding the tectonic history of this sector of the Southern Alps. A great help will come from a collaboration with Elena Zanella and her enthusiastic research team. 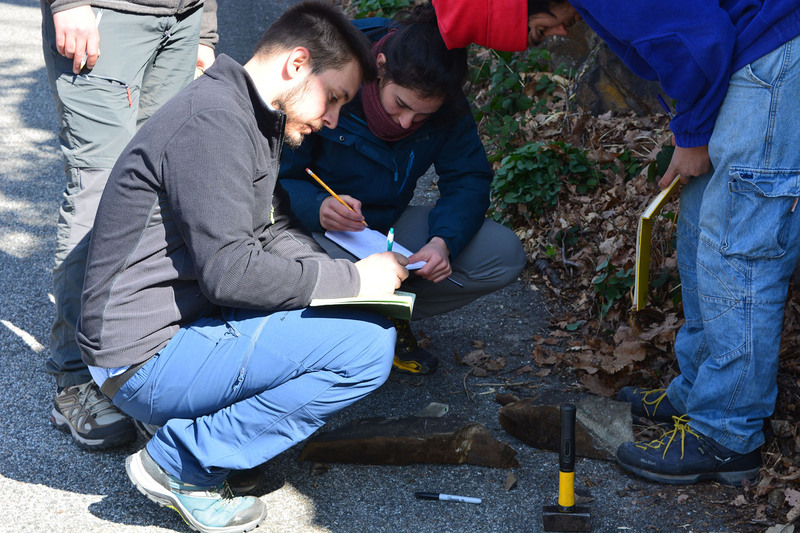 They’ll study the “magnetic fingerprint” of a series of Permian rocks, including volcanic and intrusive units, which are slowly bringing us unexpected outcomes, thanks to the recent geological survey that Emanuele has just completed during his Ph.D. project. We have recently sampled, together with Andrea di Capua (CNR-IDPA) and Elena’s staff, tons (literally ;)) of samples. We are confident that these brand new data will shed a light on ancient evolution of this sector, provinding additional contraints on the original geometries of these units, transport direction for volcanic ignimbrites, additional data on tectonic deformation and, possibly, also some new clues on their thermal history. hard stuff…but students were great! 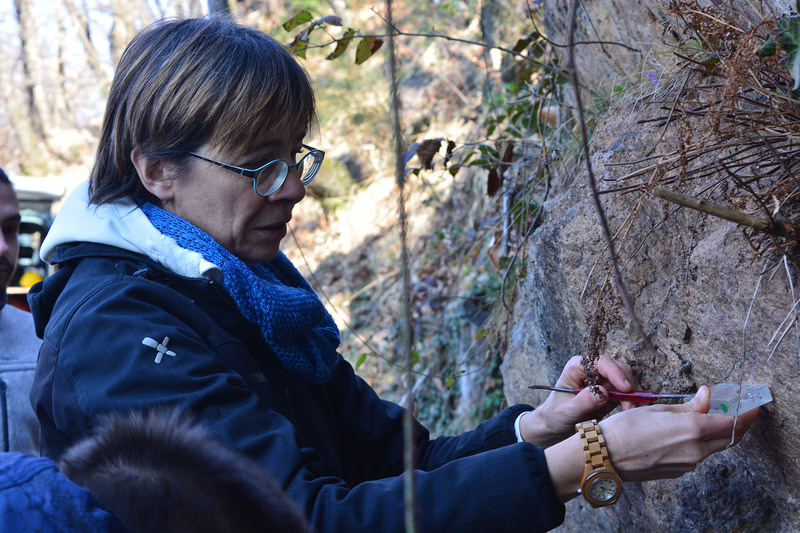 Precedente: Articolo precedente: Congrats to Maria Francesca!